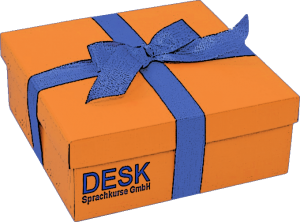 You can give a present of a voucher for a language course with us – either for live-online or class lessons. Adobe Connect is a flexible, multimedia Web communication system, the only thing a participant needs is an up-to -date internet browser. You have the choice between just online lessons or Blended Learning. Blended Learning means that, in addition to online lessons you can also have lessons here at our school in Munich, at the Viktualienmarkt or in our premises in Herrsching, directly at the Ammersee. Online instruction provides the opportunity to have lessons with your teacher when and wherever you want.